I was recently asked why I constantly speak about veterans’ issues. I guess one of the reasons is that only 7 percent of our nation at any time is a veteran and only a small percent of veterans speak up for veterans and their issues. I would even say that the percentage of elected officials that are veterans is even smaller. As of July 1, 2017 the United States Census Bureau reports that Clinton County has a veteran population of 3,151. That is about 7 percent of the population of this county. This is the same as the percentage of veterans in our nation. Currently only 0.4 percent of the nation’s population is serving on active duty. So if around 93 percent of our nation has not served in the military, but enjoy the freedoms that 7 percent protected, I believe we should make sure these veterans are cared for. Our great state has led in the care of veterans and was one of the first states to have a Soldiers’ Home. This Soldiers’ Home — which was located where the Dayton VA Hospital is presently and the Nation Soldiers’ Homes were later — was renamed to the Veterans Administration. Ohio also has cared for it veterans by enacting the Ohio Veteran Services and the Ohio Veterans Homes in Sandusky and Georgetown. In 1992 the Ohio Department of Veterans Services was established to advocate for Ohio’s veterans, with its mission to ensure that veterans’ rights and benefits are pursued and protected and to monitor veterans’ related legislation. Ohio also established in 1992 the Ohio Veterans Hall of Fame. These distinguished veterans are inducted each year at an annual ceremony held at the Veterans Memorial in Columbus in November. In May of the following year, a bronze plaque honoring the inductees is enshrined at the IF Mack Building in Sandusky. Ohio has made a law that each county will have a County Veterans Service Office, to provide financial assistance and support to veterans in filing VA claims. Clinton County residents have also had a great understanding of veterans’ worth in our community. Clinton Countians have erected monuments and dedicated roadways and parks to veterans. Clinton Countians have also shared their respect and honor to veterans on holidays, parades, and recently on sending veterans to Washington, D.C. on Honor Flights. The Village of Blanchester honored its veterans by posting banners throughout the village. The City of Wilmington is now engaged in a banner program to honor veterans as well. As this 100th anniversary of the ending of World War I approaches, we as a country and a community should be honoring and educating our citizens about Veterans Day. Veterans Day was formed for us, as Americans, to reflect, honor and celebrate the service of all veterans of this country. Veterans Day was formed by combining two holidays, Armistice Day (which was celebrated every year on Nov. 11 to commemorate the armistice signed between the Allies of World War I and Germany) and Remembrance Day (which was observed on Nov. 11 to recall the end of hostilities of World War I on that date in 1918). On June 1, 1954, Congress replaced “Armistice” with “Veterans” and it has been known as Veterans Day ever since. 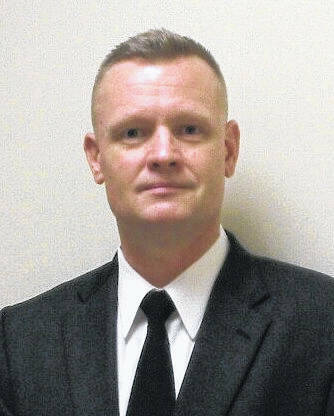 Kelly Hopkins is the Past All-State Post Commander for VFW Post 6710, President of the Clinton County Leadership Institute and Chief Bailiff of the Clinton County Common Pleas Court.